Bernard MacLaverty is one of Ireland’s most treasured and accomplished writers. Equally proficient in the realms of the short story and the novel, his works have been celebrated by readers for four decades. 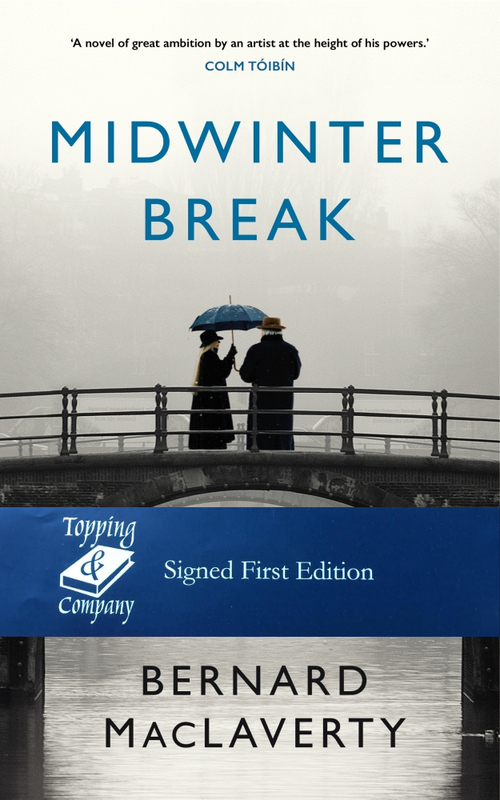 Midwinter Break marks his return to the novel format after sixteen years, and has already been lauded as his masterpiece. Midwinter Break takes us into the lives of retirees Gerry and Stella Gilmore as they travel to Amsterdam for their eponymous holiday. With all the emotional intelligence, sensitivity, and style characteristic of Bernard’s prose, the fractured lives and inner turmoils of the Gilmores are slowly exposed, painful memories are brought to the surface, and their relationship is changed forever.